What types of miniatures do you make these days? I specialize in making realistic food miniatures which I then turn into all kinds of fun jewelry to wear such as necklaces, earrings, and jewelry clips. 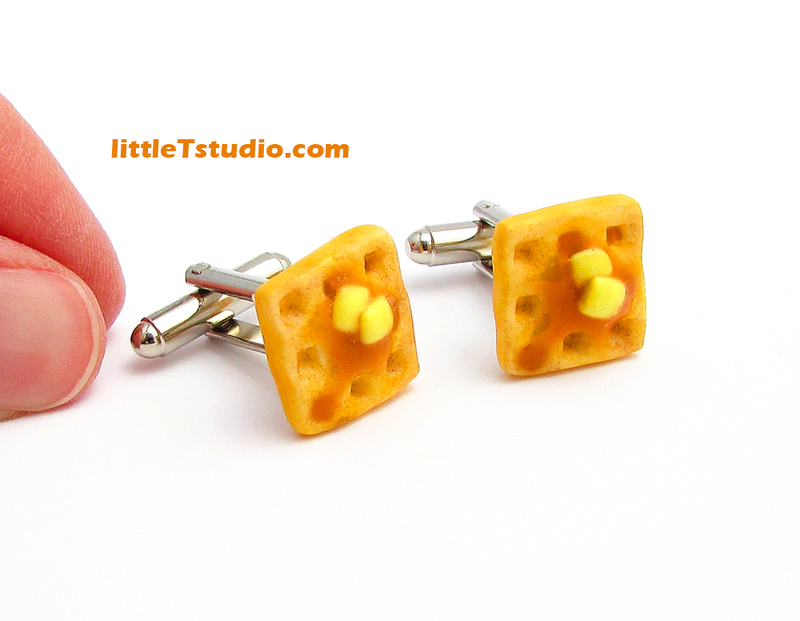 I even have a “Gifts for Guys” section in my store where you can find mini food cufflinks and tie clips. I primarily use high-quality polymer clay. In order to turn a plain little block of clay into something extraordinary, I have tons of random tools that I’ve been collecting for years and years. These help me capture just the right look, shape, style, and texture in my art.